Contrary to what we first thought, it’s looking like you shouldn’t necessarily worry about buying a Pixel directly from Verizon. The carrier says its partnership with Google means that Android updates will function just like on iOS: when Google pushes them out, they’ll be ready to download. Verizon issued a statement to Ars Technica clarifying the matter after original reporting indicated there’d be a delay in updates in order to verify and test updates on Verizon's network. Google chimed in as well, telling Ars there won’t be any delay. 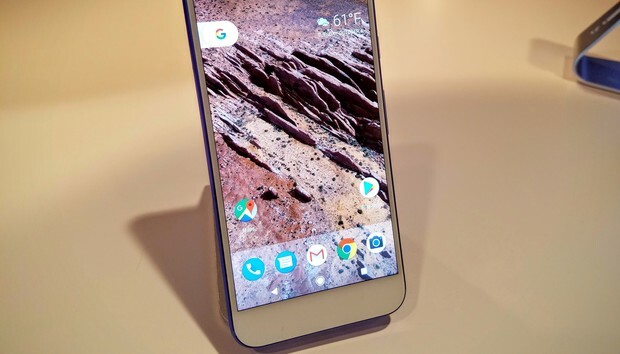 “OS updates and monthly security patches will be updated on all Pixel devices (Verizon and non-Verizon versions) simultaneously,” said a company spokesperson. Verizon also reaffirmed you’ll be able to fully uninstall (not just disable) the three pre-loaded apps. It’s a big leap forward for a carrier-branded phone. Such devices are usually loaded down with bloatware and lag far behind Nexus phones when it comes to Android updates. Finally, the Verizon version will also be carrier unlocked. This will enable you to take it to another carrier of choice should you decide to switch networks later on. It technically has a locked bootloader, but that is only really of concern to hackers that like to root their phones (a small but vocal population). The impact on you: If you’re a Verizon customer, this may remove your doubt about picking one up from a carrier store. Along with the aforementioned benefits, you’ll also get a DayDream View headset (coming next month) with your purchase. The question is going to be how well Verizon holds to its pledge about simultaneous updates. We’ll be sure to watch for this as fresh versions of Android come down the line.